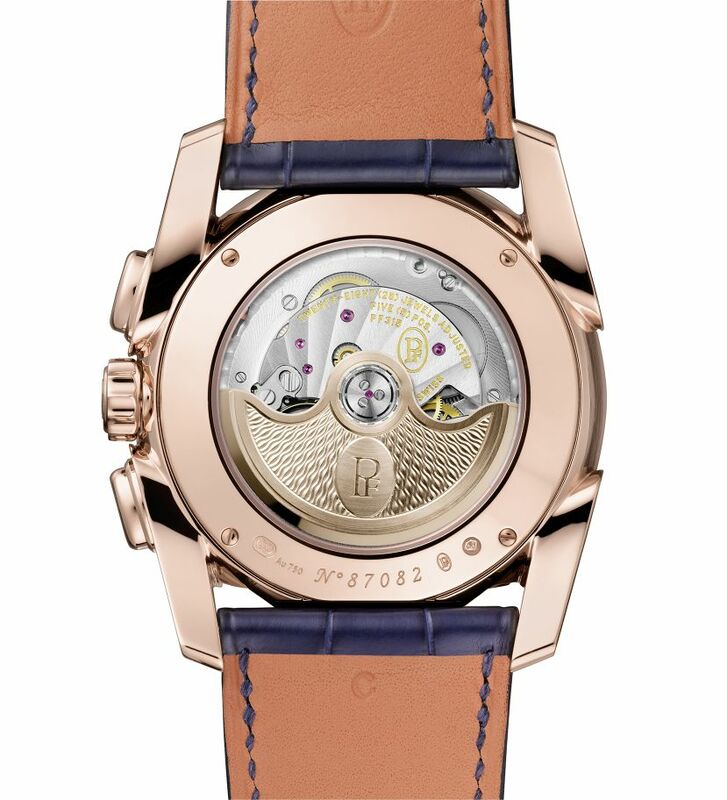 The case, in 18kt rose gold, measures 40mm x 11.8mm. It has an AR-coated sapphire crystal, a sapphire display back, and it is water resistant to 30 meters. Movement is the Swiss automatic Parmigiani in-house caliber PF315 with 46 jewels, 28,800 vph and a power reserve of 42 hours. 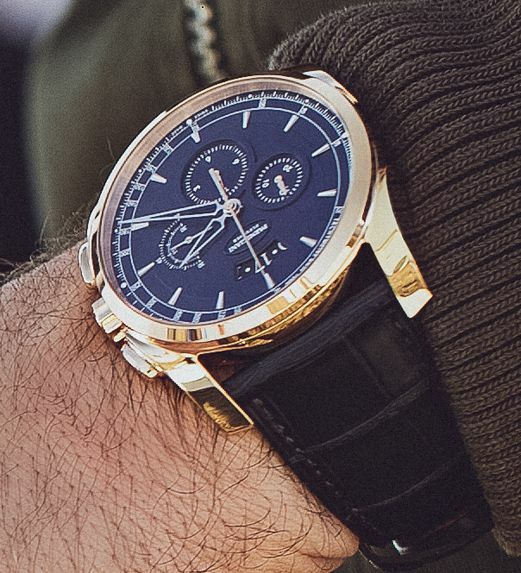 It has Cotes de Geneve finishing and a 22kt gold rotor with Grain d'Orge guilloche. 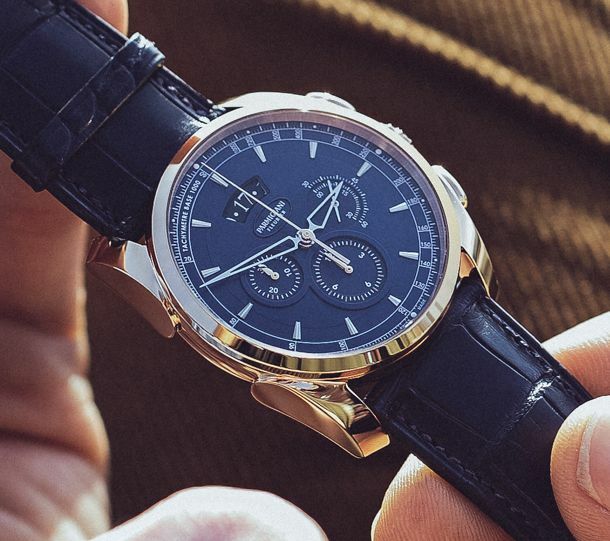 Functions are: hours, minutes, small seconds, date and chronograph. 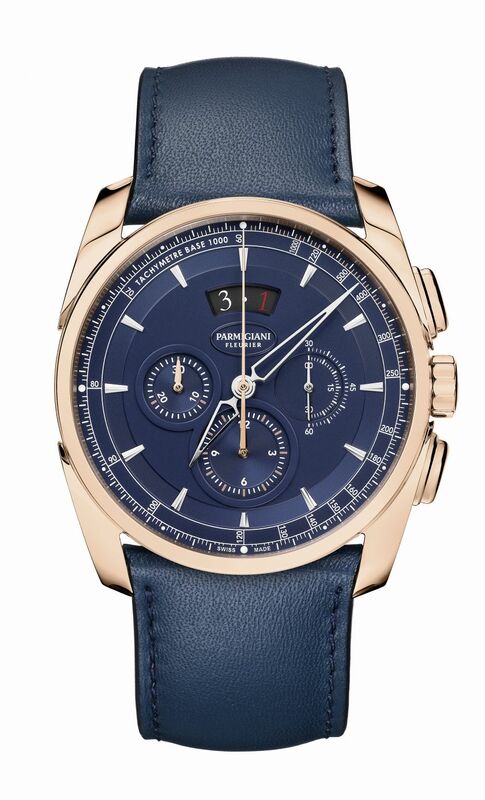 It has a blue dial with snailed and opaline finish. Rhodium-plated indices and skeletonized Delta-shaped hands. 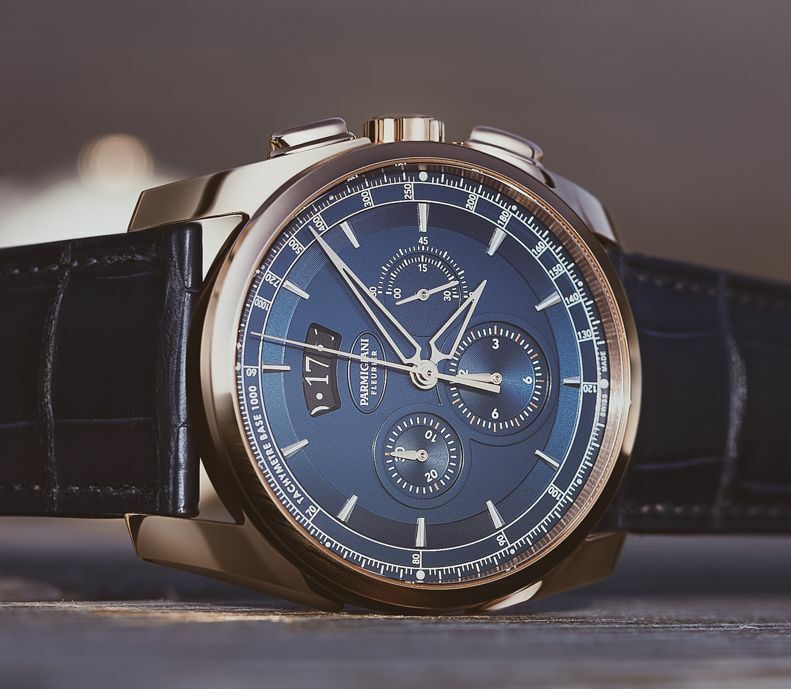 It comes on a Abyss blue alligator leather strap by Hermes with an 18kt rose gold pin buckle.